Sequencing is one of many pre-reading skills children need to develop before they learn to read. 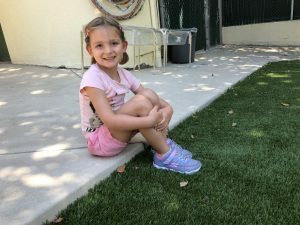 Learning to sequence, put a series of objects or events in a specific and logical order, teaches children to recognize patterns, make predictions and comprehend stories. As children develop sequencing skills they learn to understand that stories follow a logical order with a beginning, middle and end. Sequencing is a very abstract concept requiring lots of practice. You can help your child learn to sequence at home with these ideas and techniques. 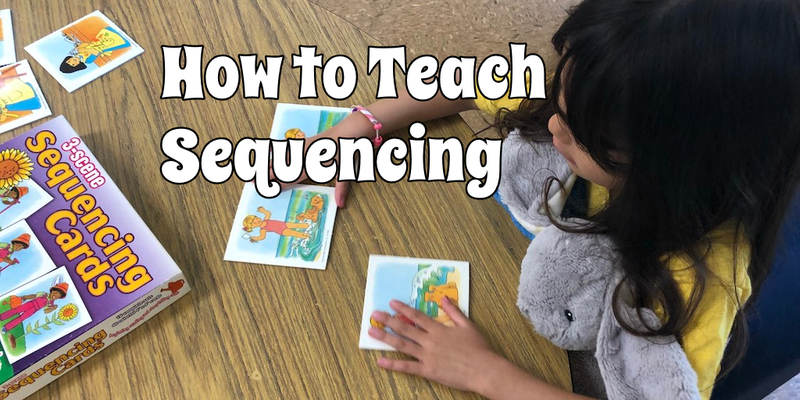 Engage your child in language and discussion about their daily activities to help them understand sequencing using the basic sequencing vocabulary: First, second, third…, in front of, behind, before, after, next, first, then, last, beginning, middle, end, began, concluded, and finally. Focus on these words in everyday conversation and situations. When getting ready for bed say: First you’ll take a bath. Second you’ll brush your teeth. Third we’ll read a story. When reading a story: Talk about the beginning, middle and end. Ask How did the story Begin? What was next? How did it conclude? When its time to wake up say: First you go potty. Then you eat breakfast. Then you brush your teeth. Last we go to school. When it’s time to go potty say: First we go potty. Then we flush the toilet. Last we wash our hands. When it’s time to get dressed say: Start with your underwear. Then put on your pants. Next put on your shirt. Last put on your socks and shoes. Encourage your child to answer sequencing questions like: What do you want first? What do you want to do next? What did we do first, second, last? When just about any task needs to be completed tell your child I’m a robot. I will follow your instructions. Tell me what to do first, second, third…, last. Play the game when it is time to: Make cookies. Sandwiches. Dinner… Take the dog for a walk. etc. The robot game is lots of fun! It helps reinforce sequencing concepts and how to communicate instructions clearly and completely. Place four items in sequential order from left to right. Discuss how the items are arranged using sequencing words: first, second, third, last, next, and after. The red car is first. The green car is second. The blue car is third. The yellow car is last. Go on to say: The yellow car is after the green car. The red car is before the green car and the blue car. First, there is the blue Lego. Then, there is the red Lego. Next, is the yellow Lego. The green Lego is last. Go on to say: The blue lego is before the red lego and the red Lego is after the blue one. There’s a Nightmare in the Attic: At first, the little girl is afraid of the nightmare. Next, in the middle she goes to find the nightmare. Then, she lassos the nightmare. At the end, she is no longer afraid of the nightmare. Green Eggs & Ham: In the beginning, Sam’s friend does not like green eggs & ham. Then in the middle, Sam tries to get his friend to try Green eggs & Ham but his friend will NOT. Finally in the end, Sam’s friend tries green eggs & ham and LOVES them! The Little Mermaid: First, Ariel had a dream about life on land. Then, Ursula the Sea Witch gave her legs in trade for her voice. Finally, Ariel got her voice back, kept her legs and in the end lived happily ever after with Prince Eric. Finding Nemo: First Nemo was lost. Then his dad Marlin & friend Dory went looking for him. Finally, Marlin and Dory found Nemo! Put the baseball first. The football second. The soccerball last. Put the basketball after the football and before the soccerball. Place the football between the basketball and baseball. Take the football out of the middle and put it in the front. 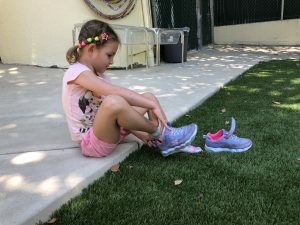 First, put on your right shoe. Second, put on your left shoe. Finally, both shoes are on! When your child has a strong understanding of sequencing objects, it’s time to introduce a series of pictures that tell a story. You & your child can make your own. You can use family photos from a recent trip or a cut and sequence worksheet like this. 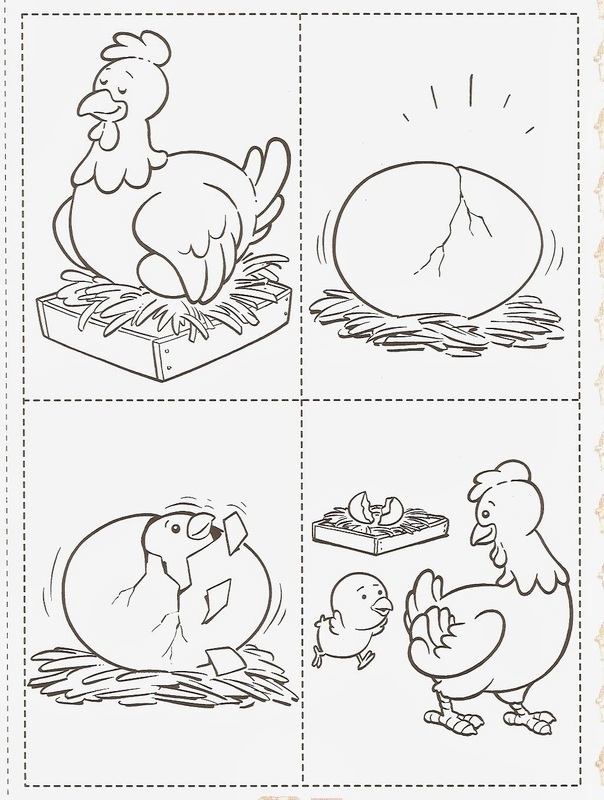 Guide your child by asking what would happen first, second, next… Have your child arrange the pictures in the correct order. Then have him/her explain the order. Help your child self-correct misplaced pictures by asking; Are you sure? Would that make sense? I hope you have as much fun sequencing with your children at home as we do at school! Open-Ended Questions; we use them everyday, so should you.